Both at first appearance and deeper into the game, it is obvious that Albert Odyssey was developed for earlier hardware. 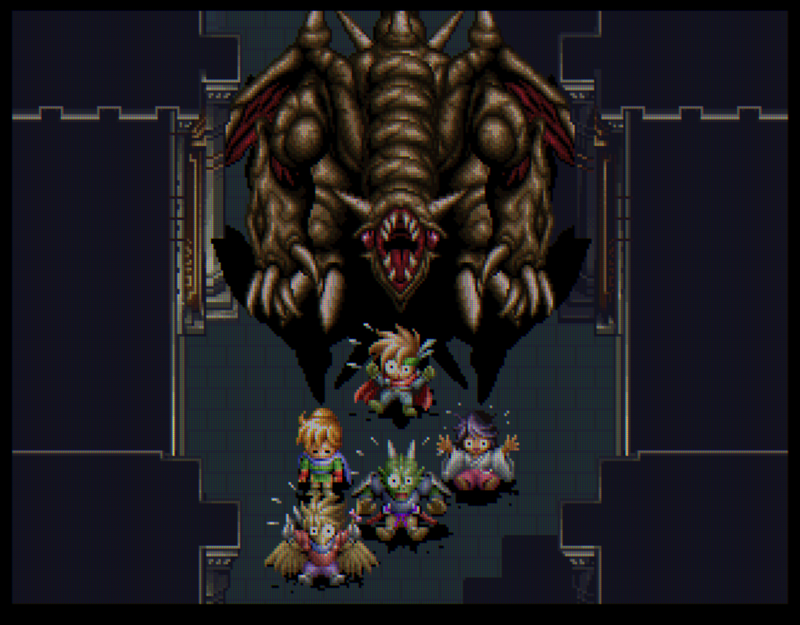 It looks and plays like one of the late JRPGs of the 16bit era, and that means the game still looks great today. It is one of the many games localized by Working Designs with their unique style, which allowed games that probably would never be ported west to be released. That was great for fans of the genre back in the day. Yet, besides that promising facade, the game falters in comparison to its JRPG peers, particularly due to its slow performance and some seriously misguided localization. Year: 1996 in Japan, 1997 in NA. "Many centuries passed since Eldean had left his mark on history, and the peace that once was is no more"
At its most basic level, the story in Albert Odyssey is a serviceable template in which a good story was built. There is little unique about the overarching plot of a sibling rivalry, corrupted by darkness, driving the fate of the world; their ancient continuing due to their sudden immortality. That's the work in which the hero is born, only for his parent to be suddenly killed in a monster attack. 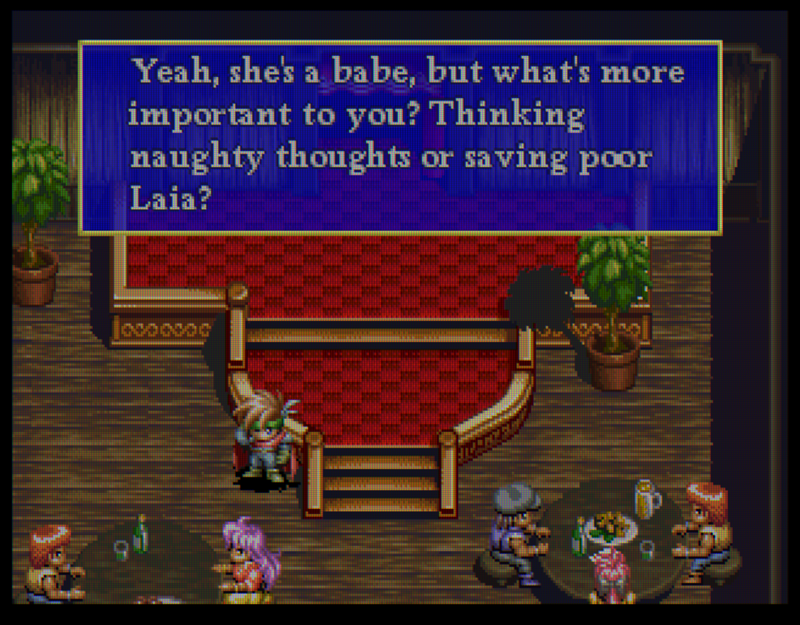 From that conflict, Pike, the aforementioned hero, goes into a world-saving mode with a band of friends. Despite its basic premise, the story is engaging, with suitably evil characters to fight, and a forward drive that never stops from beginning to end. This is supported by a likable cast of characters and supporting characters that work well within the story. Now, if this story was localized in a straightforward way, it would be a decent story that works well. Yet, due to some seriously misguided localization, the game manages to ruin any mood it tries to install, grating the plyer with out-of-place cultural references, and some crude humor. That's not to mention some seriously terrible dialogue. One, one of the main villains insult to the hero is "Pathetic zit-popping pubescent". Two, for some reason, the localizers decided to have a "Bruce Lee is still alive" joke in a story scene. Three, as a response to an angry female ally, Pike (a 15-year-old) can make fun of her and accuse her of having her "menstrual panics". Besides all three examples being proof of some terrible writing, the localization simply distracts from the theme of the game and its world-design. In fact, nearly all cases where you can choose Pike's response, the second choice is an over-the-top obnoxious response that no sane person should choose. "A hero is a hero because of what... he does... not because of his lineage"
To save the world, Pike must go from city to city, chasing after the minions of an evil empire. The adventure is mostly linear. 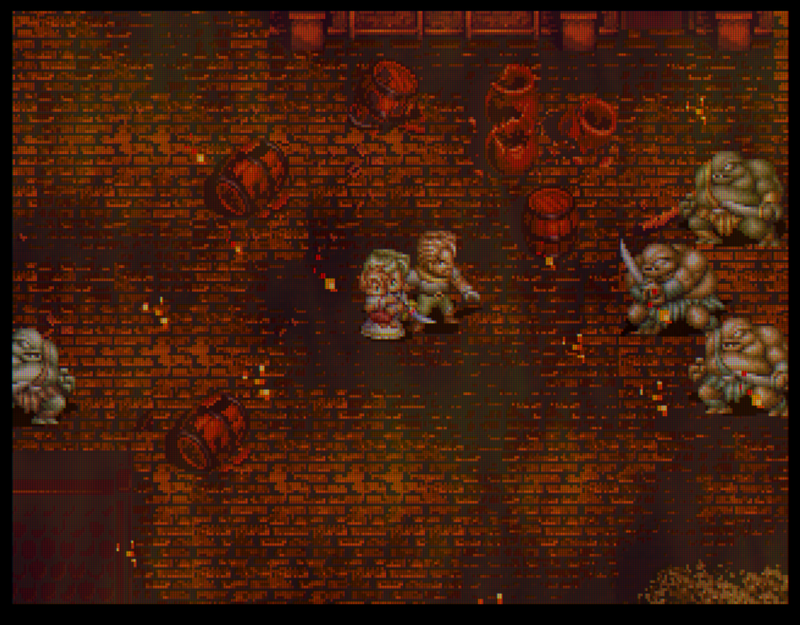 Fights with enemy monsters and bosses act as the main obstacle to progress, especially in the many dungeons of the game. Battles are a typical turn-based affair with a party of five. Speed decides the order in battle, meaning that speed-increasing spells are really useful. There is nothing unique in the battle system to make Albert Odyssey stand-out in comparison to other JRPGs. Mostly, asking everyone to attack is enough to defeat most enemies. Magic attacks may be a more efficient option, but they cost some MP to cast. It is only when fighting bosses that you are forced to use any strategy. 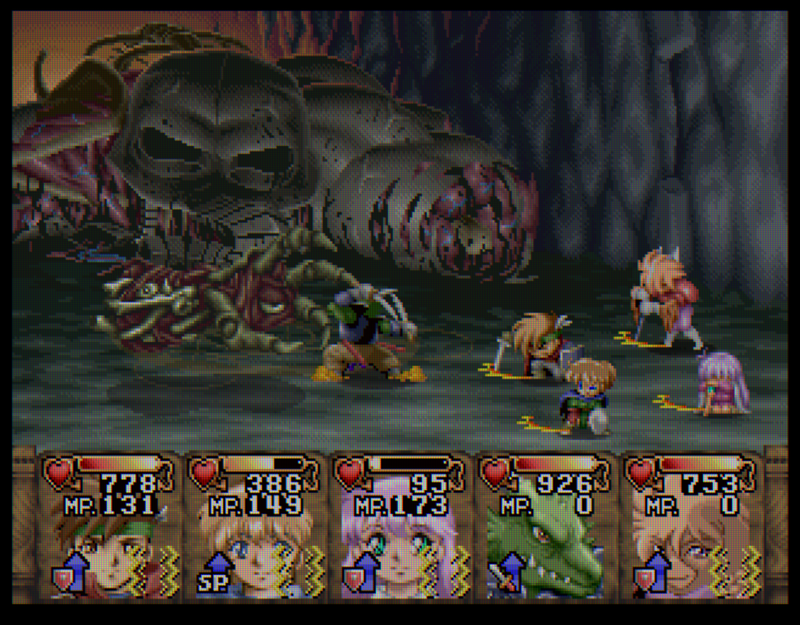 Bosses are exciting to fight exactly because they add some much-needed difficulty. They will force you to use items, most of your spells, and pay close attention to your turn order. One thing to note though is that you can't see what effects your spell had on them, so it is always a better option to increase your own stats rather than decrease those of your enemies. Dungeons are mostly straightforward with the notable exception of the last dungeon (which is a nightmarish maze with no logic or sense). There aren't any puzzles to solve or any extra gameplay oddities. The simplicity of both battles and dungeons means that the game struggles to differentiate itself from its peers, besides the fact that it looked like the games of the previous generation. "Why can't you simply play the roles predestined for you and DIE??!" With its basic gameplay structure, there is little to detract from the game in a purely mechanical point of view, even if there is also little to recommend it from the same front. Yet, when you actually play the game, you will realize that nearly everything is taking a little more time than it should be. Attacks are one or two seconds longer than they should be. To start a turn, there is an unwelcome half-a-second pause. Loading screens stay for three or a little more seconds. With random encounters being somewhat frequent, these seconds add up to a considerable amount of time. It all feels sluggish, helping deflate your enthusiasm for the game. Perhaps that means the uncharacteristically short length of the game (considering the genre) may not be a negative point after all. With no side-quests to speak off and a mostly linear main path, the game is over in about 15 hours. Three of these hours are probably wasted time within battles and loading screens. To be fair to the game, the pacing is well-done, with little filler material between story beats. I am not sure extra additional content would have helped. 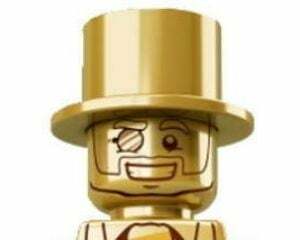 However, a side-quest involving Leos, an ally character that inexplicably doesn't join again, would have been very good to have. "Your dark words can't strike fear into souls dedicated to light"
Once I started writing the review for this game, I realized I find little positives to say about it, yet I didn't exactly hate my time with it. Thinking back, I think the best explanation for that is how good the game looks and sounds. Utilizing some amazing sprite and background graphics that would have been impossible on earlier hardware, Albert Odyssey still looks great. Sprites are expressive and animated, both those of the main characters and enemies. Backgrounds are well-drawn and have some animation as well. The battle screen is the kind of movement that the earlier Final Fantasy games probably tried to create. With the exception of the terrible-looking overworld and the fact that character portraits are consigned to the battle screen, the game is gorgeous to look at. This is the rare 5th generation game that still looks good. Musically, the game also makes some good use of the increased capabilities of the Saturn. With some orchestral tracks, most of the soundtrack is excellent to listen to and it greatly adds to the mood of the game. With the exception of the battle tracks which are limited, to be honest. Nearly every city has its own theme which conveys a different personality. Dramatic scenes are expertly accentuated with musical tracks, even when the writing somehow manages to break that spell. And, best of all, there are some really good tracks that I would want to listen to over and over again. Both overworld themes (Main Theme 1 & 2) are great. Estranto is a melancholic song that sticks to the mind. Overall, the soundtrack is great with many exceptional choices to listen to. Released at a time where games were pushing graphical boundaries and creating images that look hideous today, this is a game that perfected the art and presentation of the past and still looks great today. 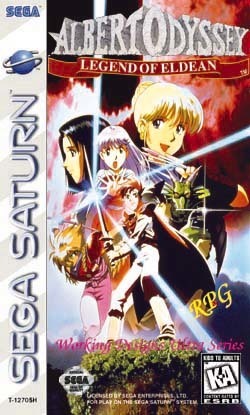 For fans starved of JRPGs, the game was considered one of the Saturn's best. 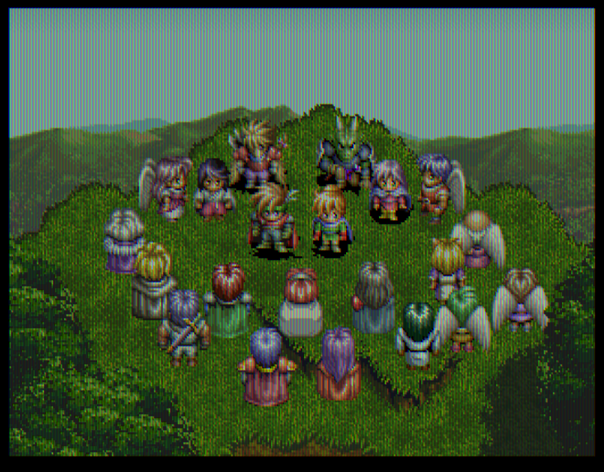 Yet, due to some terrible localization choices by Working Designs, a good story was a little spoiled for me. At each an every major point, terrible dialogue conflicted with the actions and music on screen, with dramatic moments accentuated by dramatic music ruined by stupid puns and ridiculous insults. That, coupled with some pedestrian gameplay that wastes much of your time in executing basic actions as well as on loading screens, significantly affected my enjoyment of the game. In the end, I didn't exactly dislike the game but realized it is much less than it could have been. Straightforward story with constant forward drive. Little to differentiate the game from its peers. 1- You will need to use items when fighting bosses. 2- A stat increase from item use continue for the entire battle. 3- Pay attention to turn order. 4- Speed rating is very important. 5- Leveling-up is easy and very important. At the start, I thought I found my best Saturn game yet. Albert Odyssey has a strong first impression. Yet, with time, its faults became more apparent and unforgivable. Back to the list, there aren't any other games that I would play from #48 to #41. Since I just wrote a report before playing this game, I will take this opportunity to review a game requested by Dtoid community member, Ghoane. This game is Shinobi Legions, which I think is the only Shinobi game released on the Saturn.